Cotton Fields was written by Huddie Ledbetter - American Blues player commonly referred to as Lead Belly. He was born Jan 20, 1889 in Mooringsport, Louisiana, United States, and died at the age of 60 on Dec 6, 1949 in New York City. He sang and played a variety of instruments including the guitar, lap steel guitar, accordion and piano. He began performing in 1903 and first recorded the song in 1940. Music: A Major in 2/2 (cut) time at ~ 74 bpm. 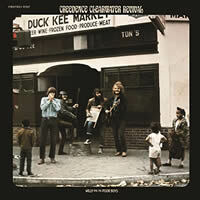 Origin: El Cerrito, California, U.S.
CCR chords and lyrics are property and copyright of their owners. "Cotton Fields" chords and lyrics are provided for educational purposes and personal use only.